A complete line of medical device sterilization containment systems is available for the Sterilucent PSD-85 Hydrogen Peroxide Sterilizer. 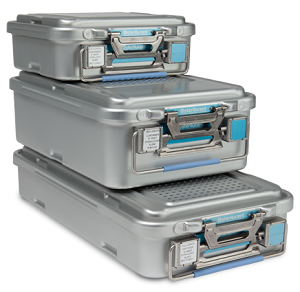 The Sterilucent Sterilization Container System includes a wide variety of sizes and accessories to protect the investment in surgical instrumentation and help maintain the sterility of processed devices. The containers are made of anodized aluminum and are designed with large handles to encourage proper lifting. 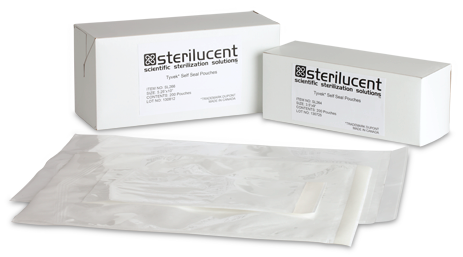 Sterilucent Self-Sealing Pouches are manufactured with a pre-fold to ensure ease and accuracy of pouch sealing. The adhesive tape is made of polyester film coated with medical grade acrylic adhesive, designed for use exclusively with the PSD-85 Hydrogen Peroxide Sterilizer. The pouches are latex-free.